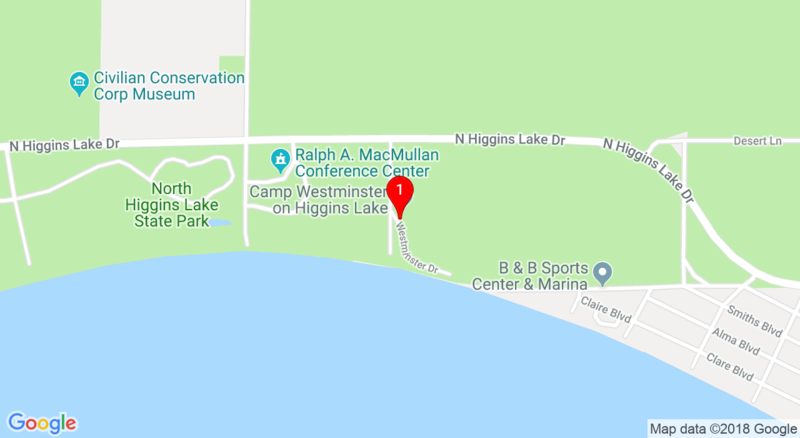 Take second Higgins Lake Exit #244 and turn left to North side of lake. Follow signs leading to State Park. Camp will be on the left (between 4 and 5 miles from I-75 and before Conservation School and State Park). Take North HIggins Lake Exit. Turn right towards Roscommon. Camp is a few miles past Conservation School and State Park.